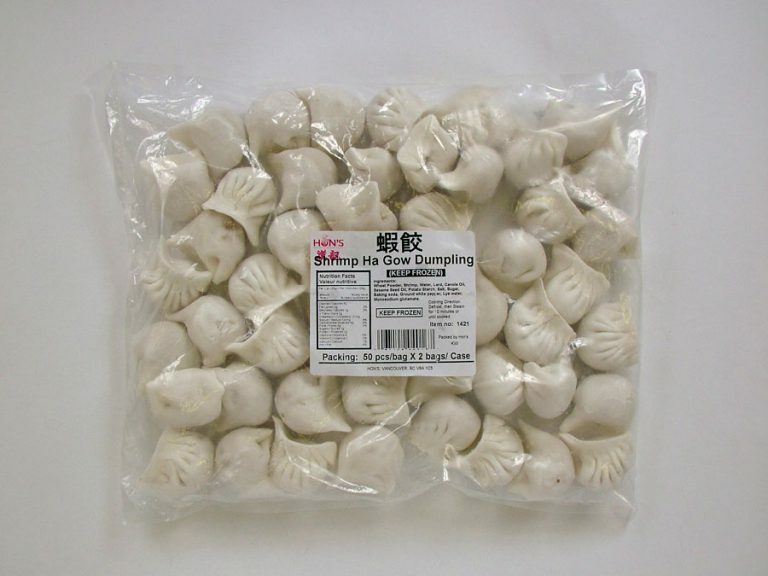 HONS > Products > Food Service > Dim Sum - Food Service > Shrimp Ha Gow – 50 pcs. Shrimp Ha Gow – 50 pcs. Wheat powder, shrimp, water, lard, canola oil, sesame seed oil, potato starch, salt, sugar, baking soda, ground white pepper, lye water, monosodium glutamate.